The 2013 off-season was a time of change and a time of commitment. Joe continues sharing, “I finally said to myself that I am just going to give it to God. 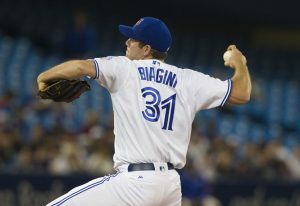 The Biagini family moved to Santa Clara, California, where he went to Kings Academy. Joe had some great influences at the school including his favorite, Joe Maemone, the anatomy and Bible teacher. Maemone is now the athletic director, and he asked Joe for a jersey to be hung in the school. Joe, then, went to College of San Mateo because he was not sure how baseball would pan out. It was the school Joe’s dad attended. After two years, Joe transferred to the University of California at Davis for his junior year where he spent time working on his mechanics and adjustments after coming off Tommy John surgery. At UC Davis he was trying to balance competitiveness and winning with trying to relearn and adjust his pitching so he would not hurt his arm. Joe shares, “I wish I had been in a better physical and mental state where I was competing better so I could actually have a decent output at Davis. I felt I wasn’t doing a good job of being a good teammate and competitor at times because I still had to learn all the adjustments needed to move on.” Joe did move on when he was drafted in the 26th round by the Giants. 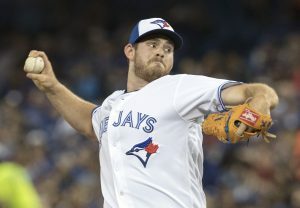 He made his major league debut April 8, 2016, for the Toronto Blue Jays with a perfect ninth inning against the Boston Red Sox as well as getting his first strike out on future Hall of Famer, David Ortiz. His first win came that year on May 3 over the Texas Rangers. “God calls me to be the best player I can be. There must be a bigger reason as to why I am here, or I don’t think God would put me in this position. Outside of baseball Joe has found the opportunity to use his platform to share with fans. He is one who usually lets his actions do the talking regarding his faith. He takes opportunities in interviews and interactions with those outside the clubhouse to use his influence in sharing why he believes he is in the major leagues and why he shares his faith. Joe has been involved with several Christian sports organizations over the years. When he was attending UC Davis, he had a really good experience with Athletes in Action (AIA). It was organized and run by students. He also had a good relationship with one of the adult leaders, Davis attorney Shiloh Sorbello, who welcomed him into his group since he was a new transfer student. Joe was also familiar with the Fellowship of Christian Athletes (FCA). The Spanish-speaking chaplain for the Giants, Rigo Lopez, helped FCA with camps held at Santa Clara University. Joe participated with the baseball skills and later shared his faith with campers. Pro Athletes Outreach (PAO) holds annual conferences where players and families come together to worship and share in Bible studies. Other seminars are given about Christian marriage, finances and other life issues. Joe has attended four PAO conferences, and he was baptized by White Sox chaplain, Mickey Weston, at his first PAO conference. Weston is a director for the Unlimited Potential Inc. which includes athletes and spouses on missionary trips. Biagini lives with his parents in Santa Clara during the off-season, at least for now. Joe is single, but does have a significant other, Chenny Zhang. The story goes that Joe and some friends went to a young adult church group in Menlo Park, California. Joe shares, “This pretty girl was on the ‘greet team’ and was the first person we saw when we arrived. We got to talking to find out we knew some of the same people, and we went to the same high school one year apart. We stayed involved with the same group of friends. Chenny went to Boston College, and she came to a game at Fenway Park in April, 2016. It was there I asked her out for the first time. I am excited to see how the Lord will take this to a lifelong commitment!” In the off-season Joe and Chenny enjoy worshiping together at Westgate Church in San Jose. Next post: Do We Have to Tell Anyone About Our Secret Sins?